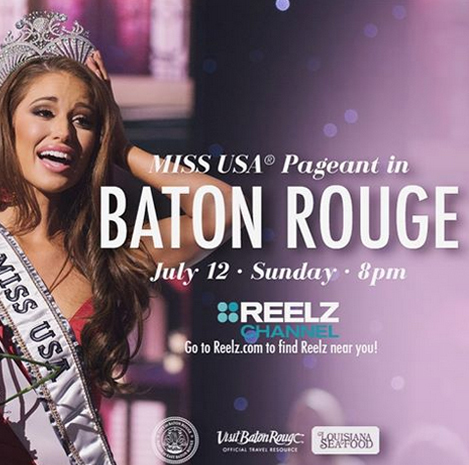 FOR THE SECOND YEAR in a row, Baton Rouge, the capital city of Louisiana, hosted the Miss USA 2015 pageant. 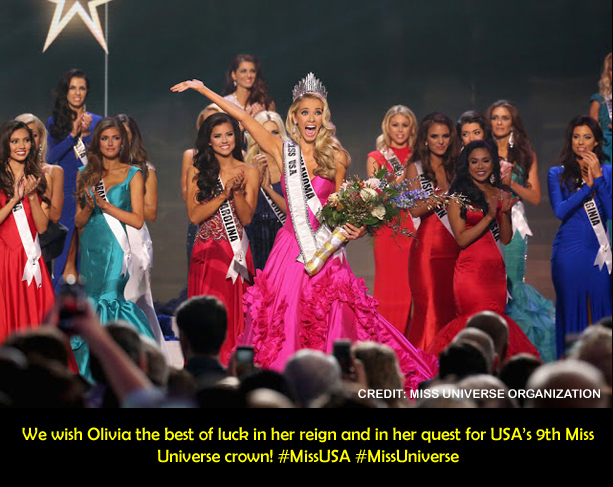 Miss Oklahoma USA Olivia Jordan, 26, a stunning 5'11" blonde from Tulsa was crowned as the 64th Miss USA during a festive gala on July 12, making her the first woman from her state to win the coveted crown. Jordan will now represent the United States in the next edition of Miss Universe pageant whose date and venue are yet to be confirmed. Jordan is a pageant veteran; she had previously represented the country in Miss World 2013 pageant in Bali, Indonesia where she placed in the top 20. She had also competed in Miss California USA 2013 where she placed first runner-up. 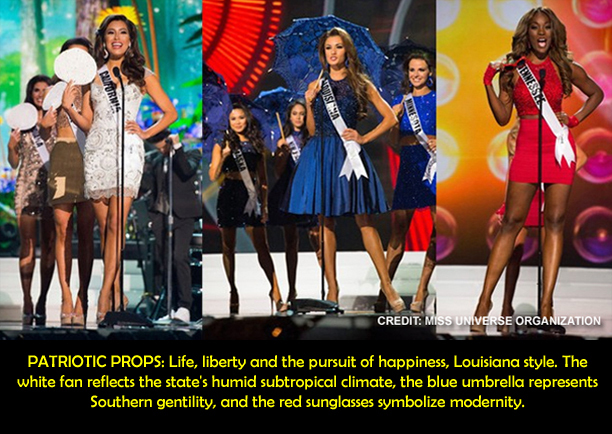 After competing in the swimsuit segment, five were eliminated: Arizona, Illinois, Kentucky, New York and Virginia. However, Kentucky passed to the next round thanks to an interactive audience voting to save one contestant. The eleven remaining contestants then competed in the evening gown segment to demonstrate their grace, poise and sense of style. These were my favorite gowns of the evening because they embody real sophistication (Hawaii, Delaware), sensual elegance (Nevada, Alabama), and bold glamour (Michigan, Maryland). Then the group was dwindled down to the top five: Nevada, Maryland, Rhode Island, Texas and Oklahoma. "In the year 2020, a woman will appear on the $10 bill. Which American woman would you like to see on the first printing of the bill and why?" Rhode Island: "I think that it's long overdue that we haven't had a woman on our dollar bill. Having gone to an all girls' school, I've realized that there are so many powerful women that can really be an example, and the woman I would choose would have to be Catherine McAuley. She's the founder of the Sisters of Mercy, and she founded our school because she really wanted to show the world that women are really, can really be empowering to the rest of the world and be an example and an advocate as well as an inspiration." (I don't think most viewers knew who Catherine McAuley was until Anea mentioned her name. Realistically speaking, a nun's face will never appear on paper currency because it would suggest that the government favors a particular religion, which would be against the First Amendment. Even though Anea's response this time was so much better than the first one, her choice was just not as popular as Harriet Tubman). Based on the delivery, poise and substance, I would rank Oklahoma as Miss USA 2015, followed by Maryland, Nevada, Rhode Island and Texas. It's odd because I didn't even have either Oklahoma or Texas on my Top 10 list, but they proved me wrong with their fine performance. This goes to show you that the judges saw more in these women on stage that we failed to see as mere spectators on our television screen. Compared to last year's which was virtually scandal-free (see my 2014 review), this year's pageant has been dragged into controversial politics after pageant owner Donald Trump, during his presidential announcement speech on June 13, criticized Mexico for sending criminals and rapists to the United States, in reference to the massive illegal immigration problem that has been plaguing the nation. Hispanic groups and their liberal allies quickly denounced Trump for his derogatory remarks regarding Mexicans and accused him of racism. 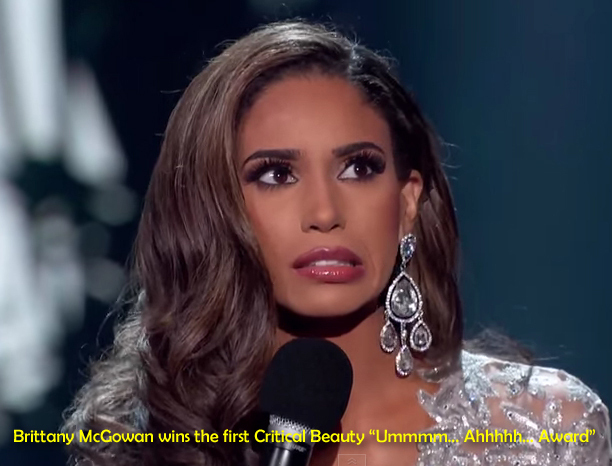 This year would have been the first time for Univision to air Miss USA, but due to Trump's politically incorrect remarks the network cancelled its plan to air the pageant for the Spanish-speaking audience. The network also decided to boycott the next edition of Miss Universe. It snowballed from there as celebrities withdrew their support of the show. Colombian singer J. Balvin was the first entertainer to pull out. 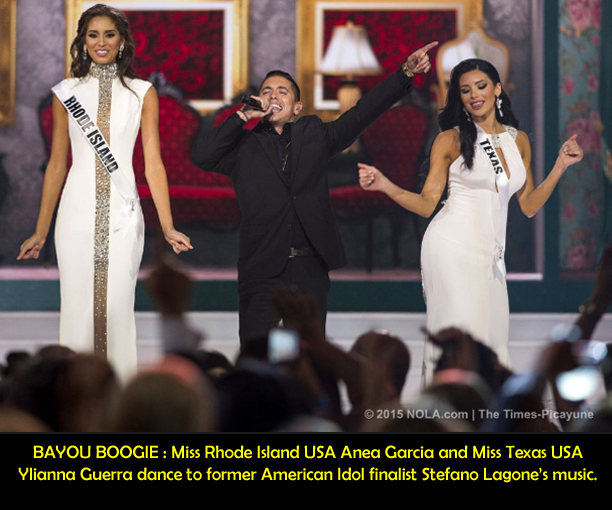 Puerto Rican actress-singer Roselyn Sánchez and Cristián de la Fuente of Chile were set to host the Univision broadcast of Miss USA, both announced on June 25th that they were pulling out of the pageant. When Univision announced it had pulled the plug on the pageants, NBC scrambled to distance itself from Trump, with whom it co-owns the Miss USA/Miss Universe pageants. Thomas Roberts and Cheryl Burke, who were supposed to co-host Miss USA for NBC, stepped down from their task. Jeannie Mai, who was last year's color commentator and backstage host, initially opted to stay in support of MUO and the delegates, but later changed her mind and pulled out as well. Overall, I enjoyed the show very much because it offered many memorable moments and refreshing changes, such as the absence of Jeannie Mai (thank God she pulled out!). In my last year's review, this is what I wrote about her: "Color commentator Jeannie Mai's comments absolutely brought nothing new or fresh that we avid pageant fans did not already know or expected. She's got to go, and should be replaced by someone who had actually competed in Miss USA and whose opinion truly matters to pageant followers." Well, what do you know? Jeannie did not return and someone who had competed before in Miss USA was hired as a co-host. And there are not enough words to describe Julie Alexandria's phenomenal stint as the new color commentator! I hope Julie becomes a permanent fixture! I love hearing her voice and she added a much needed class and elegance to the show. Kudos to Todd Newton and Alex Wehrley for preventing any dull moment from happening. 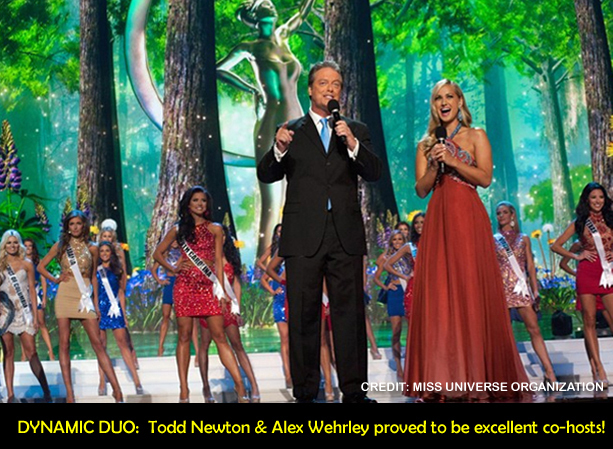 Todd was a co-presenter at Miss Universe 2001 and Alex was Miss Wisconsin USA 2009. Together, they made a remarkable team! Pageant owner and real estate mogul Donald Trump had tweeted the day before that he would not be able to attend the show because he was campaigning in Phoenix, Arizona - even though he did not have any events scheduled that Sunday. But that's okay. No one missed him, except I who was counting on his presence just so he could further rebuke NBC and Univision for cancelling the broadcast of the pageant. But the Donald was wise enough to back off and to not take away the spotlight from the girls, though he kept himself busy by taking pot shots at his political rivals via Twitter. 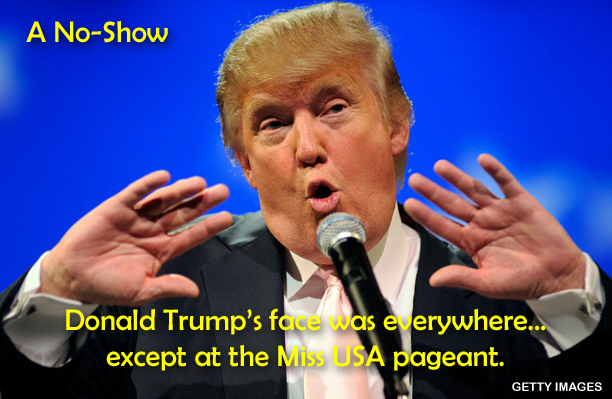 If he fails to win the Republican nomination, I'm sure he'll show up at the pageant next year - assuming that he remains as the co-owner. 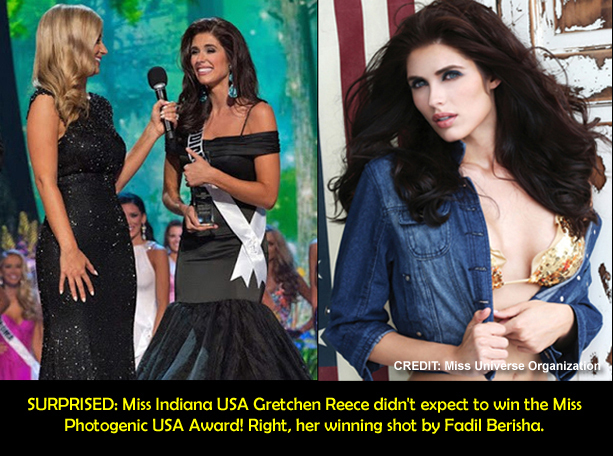 The events leading to, during, and after the 2015 Miss USA pageant will certainly go down in history as some of the most indelible moments in pageantry. It was a moment of firsts. Oklahoma won its first Miss USA. Delaware made the semifinals for the first time. Two states tied for the Miss Congeniality award for the first time. In its 64-year history, it was the first time that the entire judging panel comprised of women, and it was also the first time that all the judges were former titleholders. And for the first time in the history of the pageant, the show was not broadcast by a major network but by a small, independent channel.